One day, when I was about your age, I stumbled upon a man selling pearls. He would give you an oyster from the deep sea and inside would be a beautiful pearl. A pearl is made simply from a grain of sand getting caught in the shell of the oyster. The oyster works hard to protect itself from the intruder and wraps that grain of sand with layers of nacre. That little grain of sand becomes a beautiful pearl that adorns the most beautiful women all over the world. When my sister and I got our oyster shells, something strange happened. My sister opened her oyster and a beautiful white pearl was found inside. But when I opened my oyster shell, I gasped. It was none other than a black pearl. I thought, this is strange. I thought pearls were only white. Why on earth is my pearl a different color? I asked the man selling the pearls and he said not to fret. Black pearls were very rare. In fact, it was worth more than the white pearls. It was so rare that I got my name written on the board. I forgot about the pearl until that year for Christmas there was an envelope with my name written on it hanging on the Christmas tree. I ripped open the envelope and there was my black pearl on a silver chain. I think of this black pearl when I see all the beautiful people in the world that had a problem and wrapped it with nacre and made something beautiful. To this day, I wear my black pearl necklace around my neck in honor of those who have something that troubled them and they wrapped it with love and made something beautiful. 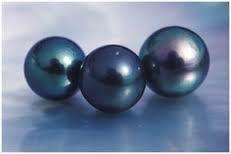 I read my story “Black Pearl” to the class and they had never heard of black pearls before so I quickly found a picture of one. We then wrote poems about deep-sea diving and all the things you would find in the ocean.